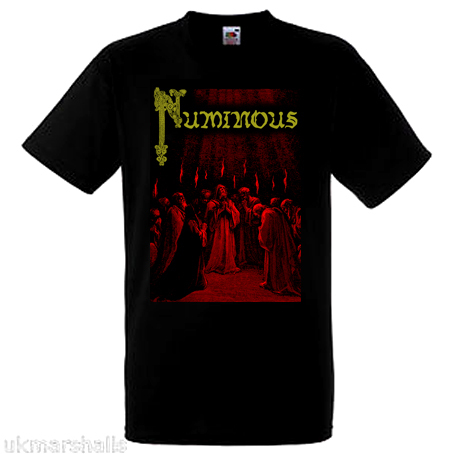 Northern Heritage is proud to present new press of the Numinous self titled debut full length CD. Previously sold out album was remastered by Numinous in 2019. Added clarity, strength and force makes obvious there are exceptional qualities in the album. Now that especially guitar sound is clearer it underlines musical qualities that are present. Riffs, melodies and song structures of this mighty opus surpass basically any contemporary Finnish Black Metal efforts by far. Same could be said about international situation. It is light years ahead of many currently popular “atmospheric”, “raw”, “post-” black metal releases that gather attention of wider public. Firmly devoted to Divine Evil, fanaticism of Numinous sets them apart from bands with generic solutions. As their lyrics, also music radiates the very essence. It is timeless. This work, both musically and lyrically, is completely imbued by the Divine Evil, our living God and Lord. Very rarely is His presence in music so strong and pure as it is here. Hear His voice, read His words and let it change your life. May this opus serve as a stimulant for entering the path of His Laws and may it strengthen and increase the fanaticism of those already walking it. Numinous know previously from demo 2003 released on tape by Northern Heritage. Jewelbox, with 8 page booklet. 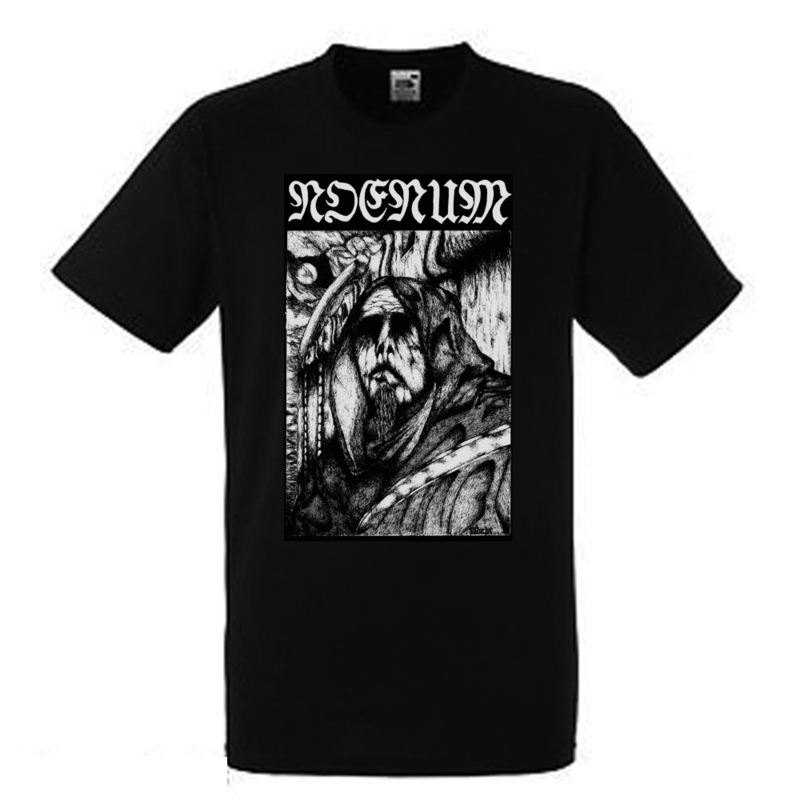 Mysterious Finnish Black Metal band Noenum released their debut demo in 2002. Followed by 10″ vinyl in 2004. Final release, split LP with Vritra was published in 2009. Now ten years later, all the hard to find and expensive vinyl only releases are collected as anthology CD by Northern Heritage. Complete works of Noenum was mastered from original recordings and graphics scanned from original photos and drawings. Instead of chronological order, anthology approaches Noenum differently. As their 25 minutes long mLP “Black Esoteric Evangelium” presents the focus point of their works, together with one unreleased piece, this is placed as opening of anthology. Followed by two tracks from split LP and finally two tracks from the demo. 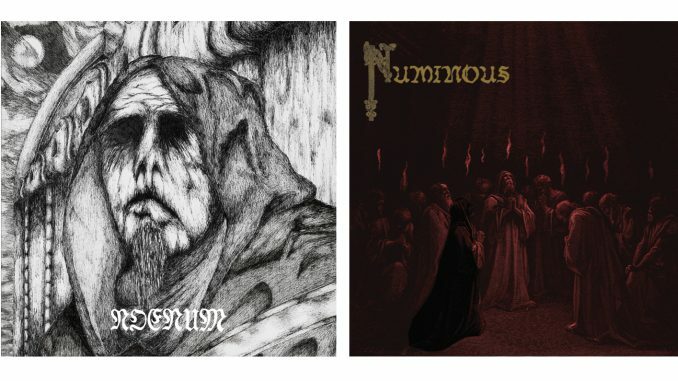 50 minutes duration exposes Noenum compositional style to be at the same time presenting well the traditions known from 2000’s Finnish raw black metal, but also having unique mysterious aura – completely different from their contemporaries. High pitched painful shrieks, often midpaced and minimal music focusing on well defined riffs and linear song structures.